Extract: "Bedridden with a broken hip – When the family would go to visit the kids would go into the bedroom at Lizzie and Jim’s house to see her. Dad couldn’t remember for sure but didn’t think she could even sit up in bed"
S1 1850 US Census. Northern Division, Randolph County, North Carolina. Page 210A, Census Date: 25 Oct 1850. Dwelling & Family 673, Line 25, Joshua Robbins Household. Original Data: Roll M432_641, Image 426. Ancestry.com, accessed 29 March 2018. Doc4708.pdf. S6 1880 US Census: Adams Township, Hamilton County, Indiana. SD3, ED36, Page 48, Dwelling 396, Family 400, Line 14, Census Date, 21 June 1880. Isaac Robbins Household. Original Data: NARA, T9, Roll 281; Family HIstory Film 1254281, page 350.4000. www.ancestry.com, accessed 16 Apr 2018. Acc000641/Doc4732.pdf. 2] Kesiah [Keziah] Robbins: 27 yr old white female, married, Keeping House - She and her mother born in Indiana and her father in North Carolina. S8 Wayne Township, Hamilton County, Indiana. SD 9, ED 114, Sheet 8B, Dwelling 123, Household 273, Line 87, Christopher Robbinson [Robbins] Household. Census Date 28 Apr 1910. Original Data: NARA Roll T624_353; FHL microfilm: 1374366. www.ancestry.com, Accessed 17 Apr 2018. Acc001546/Doc4736.pdf. 1920 US Census, Population Schedule, Eden Township, LaGrange County, Indiana. SD 12, ED 121, page 8B, Dwelling & Family 185, Line 94, C C Robbins household. Census Date, 8 Feb 1920. Original Data: NARA, T625, roll 443, Image 554. www.ancestry.com, accessed 21 Apr 2018. Acc000772/Doc4741.pdf. S18 Chester Cemetery Listing. Hamilton East Public Library/Family History Vertical Files/Hiatt, Tomlinson, Robbins, Row 12, Stone 9. S19 Database On-line, "Family Data Collection - Births" Keziah Tomlinson. www.ancestry.com , accessed 12 March 2007. Acc000865. 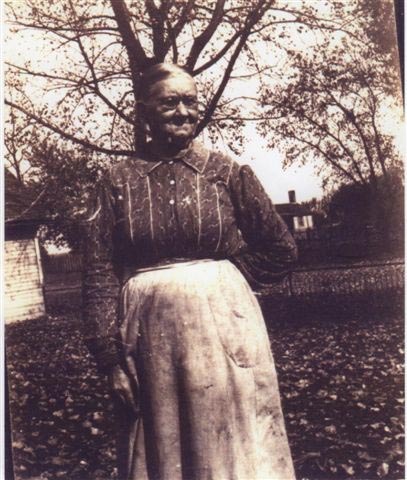 Following a protracted illness due principally to the infirmities of age, Mrs. Kiziah Robbins, widow of Isaac Robbins, died, Wednesday afternoon at the home of her daughter, Mrs. James Mollenkoff, two miles east of Fishers, with whom she had been living for the past four years. She was eighty years old. The funeral will be held at the Chester Friends church, north of Westfield, at 11 o'clock, Friday morning. Rev. Jehu Reagan, of Hortonville, will have charge of the services and the interment will occur in the cemetery near the church. 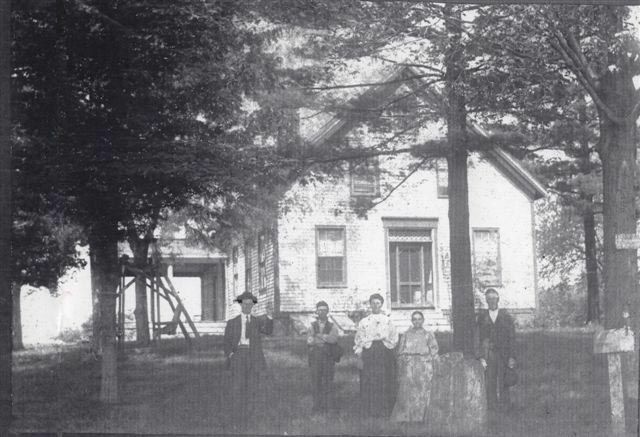 The family lived in the vicinity of Chester and Hortonville for many years and is well known in the northwestern part of the county. The husband died twenty-five years ago. 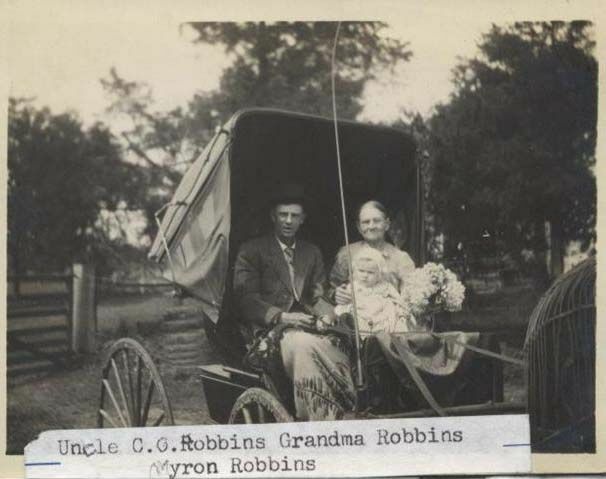 Mrs. Robbins is survived by two sons besides the daughter at whose home her death occurred. They are Oscar Robbins, five miles west of Cicero and Chisthopse [sic] Robbins, near Oaklandon. A brother, A. J. Tomlinson, of Cleveland, Tenn.; a sister, Mrs. Alva Kivett, of Frankfort, and a half-sister, Mrs. Alphia Carey, of the Chester Neighborhood also survive. Funeral of Kezziah Rollins [Keziah Robbins ID0070] Fishers R. R.
S25 Cline & McHaffie, The People's Guide: A Business, Political and Religious Directory of Hamilton County, Indiana. (Indianapolis, Indiana: Indianapolis Printing and Pub. House, 1874. Bk2975), page 276. Extract: "Robbins, Isaac; farmer; 2-1/2 m n w Westfield. Born in N. C. 1846; settled in H.C. 1869. Rep. Friend." 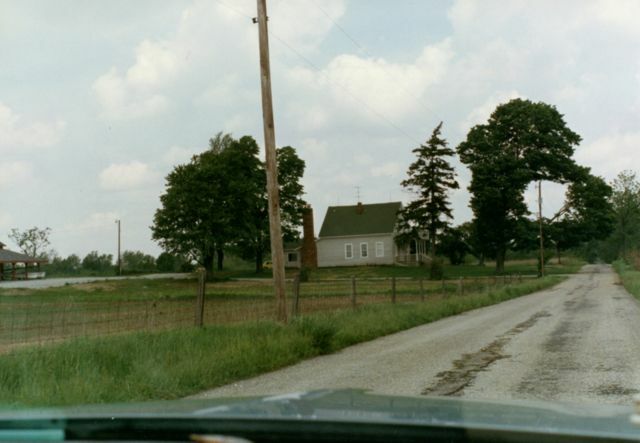 S27 "Indiana, Death Certificates, 1899-2011" [database on-line]. Original Data: Indiana State Board of Health. Death Certificates, 1900–2011. Microfilm. Indiana Archives and Records Administration, Indianapolis, Indiana. Indiana Archives and Records Administration. www.ancestry.com, accessed , 13 July 2016. 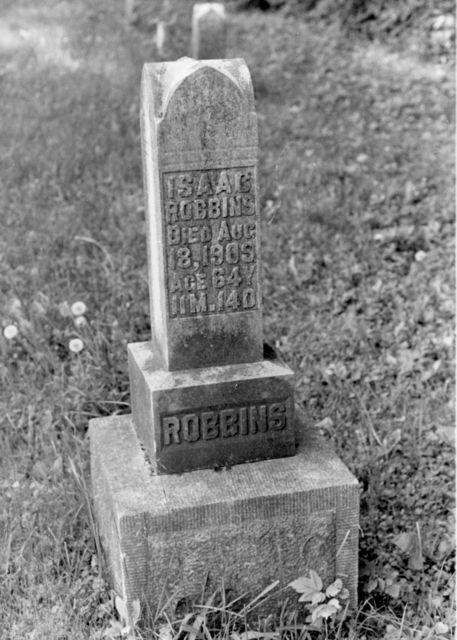 Keziah Rollins [Robbins], 12 Aug 1931, Hamilton County, Indiana. Doc3617.pdf. S28 Marriages, 1811-2007," database with images, FamilySearch (https://familysearch.org/ark:/61903/1:1:VXPL-7LZ : 28 March 2018), Isaac Roberts [Robbins] and Kasiah Tomblison Or Tomblinson [Keziah Tomlinson], 27 Feb 1873; citing Hamilton, Indiana, United States, various county clerk offices, Indiana; FHL microfilm 1,320,354. Doc4706.pdf. In Testimony whereof, I, M. W. Essington, Clerk Elect March ?? 1873 of the Hamilton Circuit Court, hereunto subscribe my name and affix the Seal of M. W. Essington ?? said Court, this 27 day of February 1873.